UT CODES - What is the CODES Project? Motor vehicle crashes are the leading cause of injury death in the United States (NCHS, 2008). In 2009, over 33,000 people die in a motor vehicle crash and another 2.2 million suffer nonfatal injuries (NHTSA, 2010). In 1992, the National Highway Traffic Safety Administration (NHTSA) funded Utah and six other states to conduct probabilistic record linkage, a method for combining databases, to study motor vehicle crashes in conjunction with other healthcare databases. 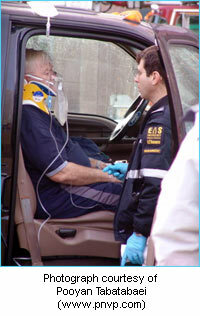 This project, known as the Crash Outcome Data Evaluation System (CODES), not only demonstrated the feasibility of probabilistic record linkage using large, statewide databases, but also quantified the risk of not wearing a safety belt as it pertains to being treated by emergency medical services, treated at the emergency department, admitted to a hospital, and killed as a result of a motor vehicle crash (Johnson and Walker, 1996). Since 1992, NHTSA has funded CODES in 26 states. The availability of statewide, population-based datasets is a major strength of the CODES project. CODES has been commissioned to study the medical outcomes of motor vehicle crashes using probabilistically linked data. The Utah CODES project is housed within the Intermountain Injury Control Research Center at the University of Utah School of Medicine and is directed by Larry Cook, PhD and Andrea Thomas, MS. The goal of the Utah CODES project is to reduce motor vehicle crashes by using probabilistically linked data to support policy decisions. Members of Utah CODES have published and presented their research in a variety of settings.